for $1,500,000 with 1 full bath. This 7,200 square foot building was built in 2012 on a lot size of 1.41 Acre(s). Most productive and hottest exit on 81!! !VERY BUSY EXIT!!! 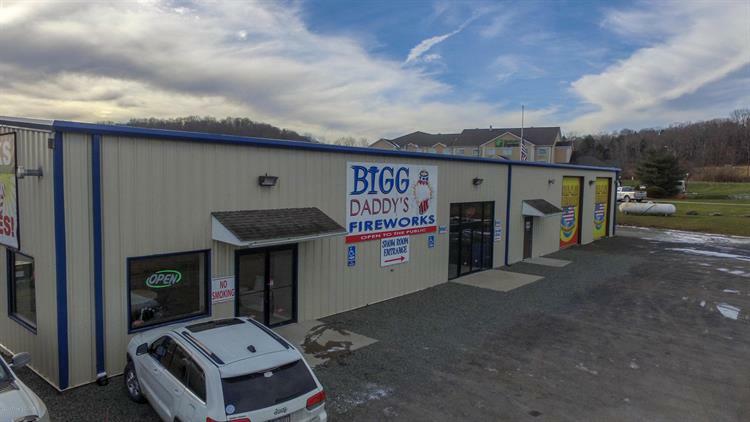 This exit hosts Flying J Plaza, McDonalds, Holiday Inn, Dunkin Donuts, Excalibur restaurant Spectacular Fireworks, 2 Gas stations, Dennys, Burger King and Sals Restaurant and 2 convenience stores! ! !Would make an excellent tractor trailer repair station!